You can have damages to lot more than your car if you’ve been in an accident and expenses like medical bills, loss of wages and others can severely affect you financially. 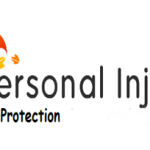 If you are in a covered accident, Personal Injury Protection or PIP insurance can help you pay for such expenses and also aids in protecting your family and friends. In case of standard auto liability insurance, payment of costs is done up to the policy limits by the insurance company of the driver who was responsible for the accident. Some states require a no-fault PIP, which implies that irrespective of who was at fault, the insurance may cover the medical costs of the policyholder and that of others in his car. Depending upon the limits of the policy, 80% of expenses including medical and others that are caused by the accident may be paid by the PIP. Medical expenses include those for your injuries, those of your passengers, and also the ones that might incur upon you when you’re a pedestrian or passenger in someone’s car. PIP insurance may additionally cover replacement of service if you’re injured in a covered car accident, costs for funeral, rehabilitation, etc. The benefit of PIP coverage is that payments for medical income and loss of income are made quickly, and you have to deal only with the insurance company. This avoids the regular blame games, delay in payments and lawsuit filing. PIP and medical payments have an important difference. Medical payments coverage covers only your and your passengers’ medical costs, irrespective of whose fault it is. Along with these costs, PIP coverage includes other expenses like loss of wages, funeral and rehabilitation services, or childcare that are difficult for you to perform due to accident injuries.